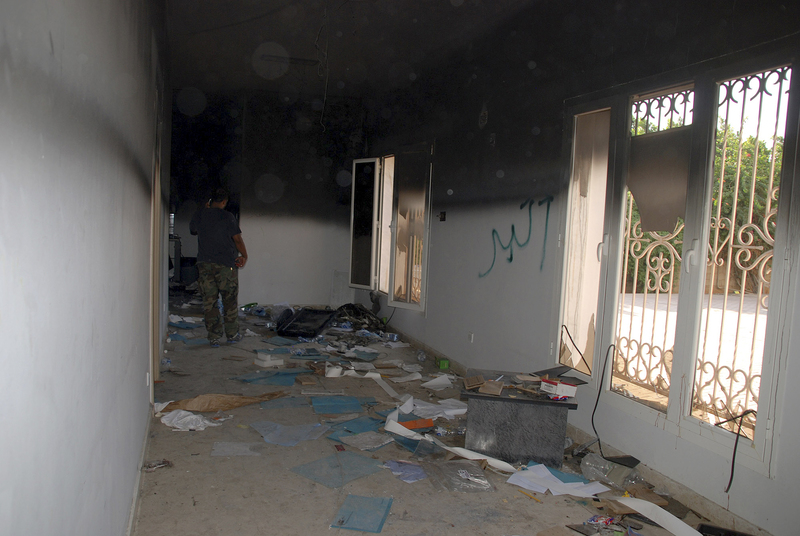 (CBS/AP) A fourth American killed in the U.S. Consulate attack in Benghazi, Libya that also claimed the lives of Ambassador Chris Stevens and two others has been identified. Tyrone Woods was one of the security personnel who died in the attack, as confirmed by Secretary of State Hillary Clinton in a statement issued by the State Department Thursday. Another member of the security personnel, Glen Doherty, was also killed. "Tyrone S. Woods and Glen A. Doherty were both decorated military veterans who served our country with honor and distinction," said Clinton." Our thoughts, prayers, and deepest gratitude are with their families and friends. Our embassies could not carry on our critical work around the world without the service and sacrifice of brave people like Tyrone and Glen. "Tyrone's friends and colleagues called him "Rone," and they relied on his courage and skill, honed over two decades as a Navy SEAL. In uniform, he served multiple tours in Iraq and Afghanistan. Since 2010, he protected American diplomatic personnel in dangerous posts from Central America to the Middle East. He had the hands of a healer as well as the arm of a warrior, earning distinction as a registered nurse and certified paramedic." Earlier, Doherty, a former Navy SEAL from a Boston suburb was identified as one of the four Americans who were killed.